If all the changes you are subjected to, all the years of being a part of the retail industry, have made you skeptical, perhaps even pessimistic, then you should add some more factors in the equation. Retail stores need to reinvent themselves, and you have to kick-start with training for this procedure to start rolling. You can use all the knowledge you will find in this eBook as a kind of a lever that will turn the case over to your advantage. The bad news for the retail industry is that there is no viable alternative than to adopt change. The good news is the number of choices offered for changing. 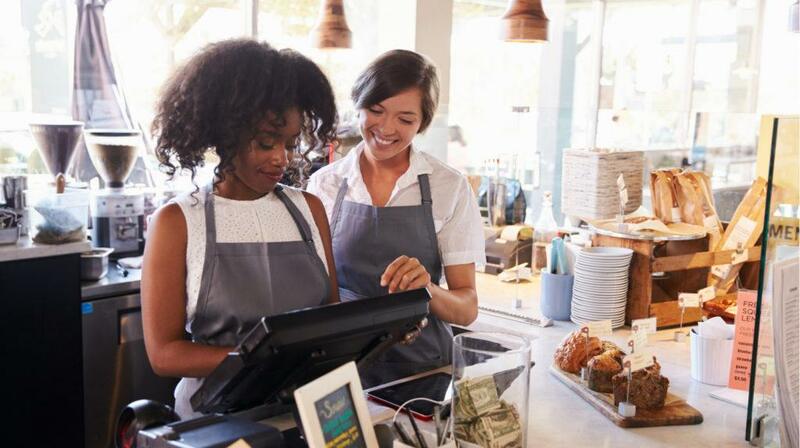 Physical stores are deprived of a big part of their transactions, so they must match this by offering knowledge and quality customer experience. This is what Training In The Retail Industry is all about. Discover the most practical tips for deploying a training strategy that focuses on staff member engagement and creates an outstanding customer experience! The authors of this edition are putting forth their propositions on what should a brand offer to its audience, how can training be renewed, a store be transformed, and the role of sales teams be revised. These suggestions, if adopted and carried through, all lead to the expansion of the learning experience. This is what is expected, as it will turn things around and give new life to retail companies. Definitely worth your putting your thoughts, energy, and attention on it. For those being in the retail business, the past decade or so has been a complete change of scenery. You may have learned a great deal of concepts, techniques, and emerging activities. And you haven’t seen the end of it yet. Training In The Retail Industry is coming to contribute much needed insight into the issue of changes in training. Read and contemplate on how to transform your store into a place of learning, thus expanding this experience and multiplying the benefits deriving from it. Does Training Need To Change? Much talk has been going on around the changes that occurred, those still ongoing, and the ones that are coming for the retail business. What is needed more, though, is much work for the adaptation of all these to give a retail company the ability to keep up with the transformations of the 21st century. The store can and should be turned into a place of learning, and at the same time your sales team should be transformed to a community of learners. With social networks holding the central role in communication, you must strive to put the store in the center of the customer experience. For this transposition to take place, a different kind of training must be deployed. One that is continuous and online. This is the way to cope with accelerated business cycles. But it should not be considered as a simple solution, as not all LMSs are adequate for the task. Training In The Retail Industry suggests what you should look for, so that you’ll be confidently covered. From here on you can transform the store into a place of learning. The advice on it is to make sure the content is adapted to the challenges of the store, performance measurement becomes a training objective, and possible complexities and constraints are not taken lightly. Moving on, you should put your sales staff under the spotlight. See what their roles are now, if they have changed and how. This may be a subject of training, perhaps even urgent. It is not a matter of more training, but better training. Of a level that can expand the learning experience, at the same time placing it at the core of employee experience. With content that directly relates to their everyday lives. These are basic ingredients for creating a culture of learning and a community of learners. All these are at the start of a continuous project, but still, if they are attentively cultivated, a strong competitive advantage will be at your hands. 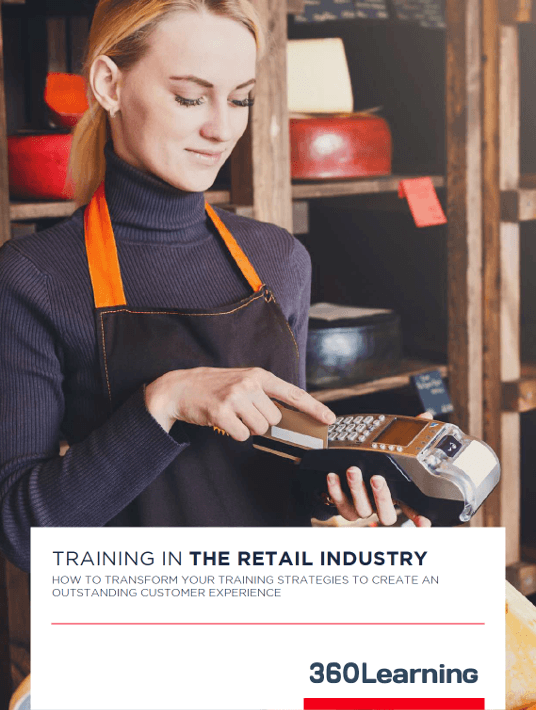 If you want to discover how to transform your training strategies to create an outstanding customer experience for your retail company, download this free eBook today.